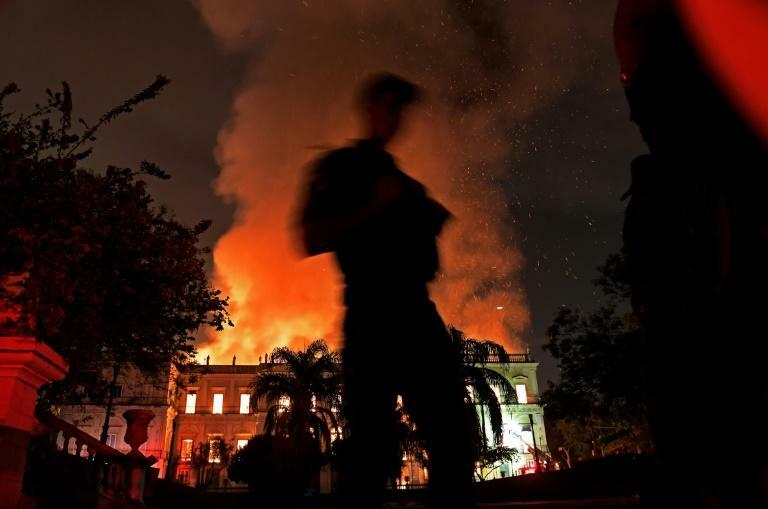 A massive fire on Sunday ripped through Rio de Janeiro's treasured National Museum, one of Brazil's oldest, in what the nation's president said was a "tragic" loss of knowledge and heritage. The majestic edifice stood engulfed in flames as plumes of smoke shot into the night sky, while firefighters battled to control the blaze that erupted around 2230 GMT. Five hours later they had managed to smother much of the inferno that had torn through hundreds of rooms, but were still working to extinguish it completely, according to an AFP photographer at the scene. 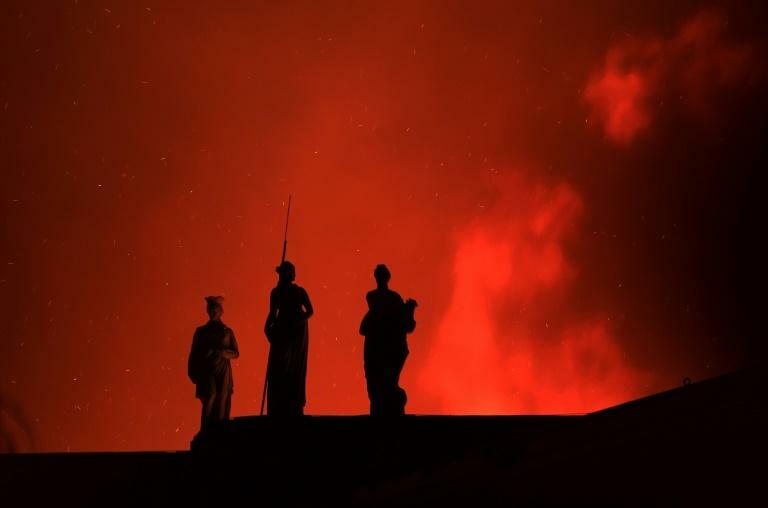 The museum, located in the city's north near the Maracana football stadium, was closed to the public when the fire sparked from a yet unknown cause. The fire "spread very quickly; there is a lot of inflammable material," a spokesperson for Rio's fire department told AFP, adding that there were no reports of victims so far. "This is a tragic day for Brazil," President Michel Temer said in a statement. "Two hundred years of work and research and knowledge are lost." "The loss of the collection of the National Museum is incalculable," he said. The collection included art and artifacts from Greco-Roman times and Egypt, as well as the oldest human fossil found within today's Brazilian borders, known as "Luzia." The museum also housed the skeleton of a dinosaur found in the Minas Gerais region along with the largest meteorite discovered in Brazil, which was named "Bendego" and weighed 5.3 tons. Pieces covering a period of nearly four centuries -- from the arrival of the Portuguese to the territory in the 1500s until the declaration of the first Brazilian republic in 1889 -- had also been stored there. 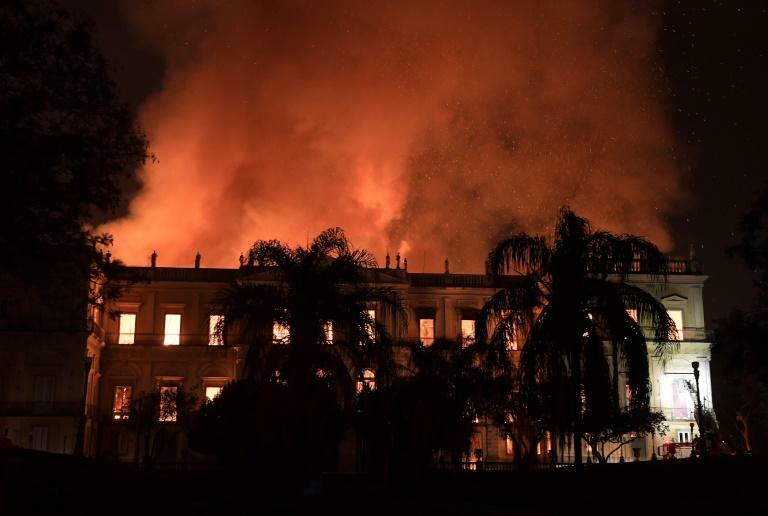 Brazil's minister of culture, Sergio Sa Leitao, tweeted that "there will be little or nothing left of the palace and the exhibits." "The loss is irreparable," he said. "Culture is grieving. The country is grieving." "We fought years ago, in different governments, to obtain resources to adequately preserve everything that was destroyed today," Dias Duerte told journalists. As the flames raged researchers, professors and university students expressed a mix of sorrow and indignation, with some calling for demonstrations Monday in front of the ravaged building. Senator Lindbergh Faris of the country's leftist Workers' Party hit out at the institution's lack of funding and blamed it on spending cuts ordered by the government. Sa Leitao, who assumed the minister of culture position under Temer -- a deeply unpopular center-right leader -- in July 2017, acknowledged that "the tragedy could have been avoided" but said "the problems of the National Museum have been piling up over time." Sa Leitao also said the fire struck just after the South American country's National Development Bank had signed a sponsorship contract aimed at revitalization. He said a reconstruction project would be set in motion, saying "this tragedy serves as a lesson." "Brazil needs to take better care of its cultural heritage and the collections of its museums."